Today was Day #6 of Chocolate and Gluten Free Cookies Theme Week. Simple Mills (Chicago, IL) produces a family of Gluten Free Almond Flour mixes, including today's Chocolate Chip Cookie flavor. Their line includes "No Refined Sugars," and is considered "Low-Glycemic, Paleo-Friendly, Non-GMO, Free of Grain, Gluten, Soy and Dairy." 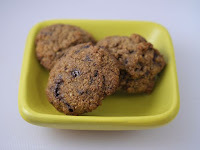 These cookies had a subtle nutty, almond butter aroma, and a satisfying chew (and weren't too sweet* - thank you!). 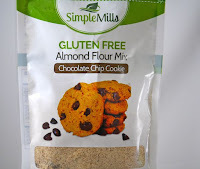 The melted organic chocolate chips and vanilla suffused these almond flour cookies with pleasing added flavor. A bit of organic coconut flour added a very slight coconut note. 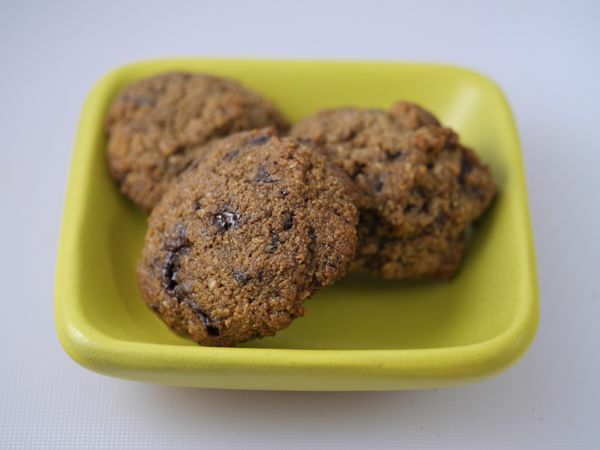 *These cookies were sweetened with organic coconut nectar.